Inspiration hits me at weird times. An idea popped into my head yesterday for an upcoming Valentines Day wall hanging. I have seen similar projects in the past but none exactly placed like I wanted to do so I set out to use my electric quilt to design the wall hanging. I hope to have the prototype completed by the end of the week to share with you. 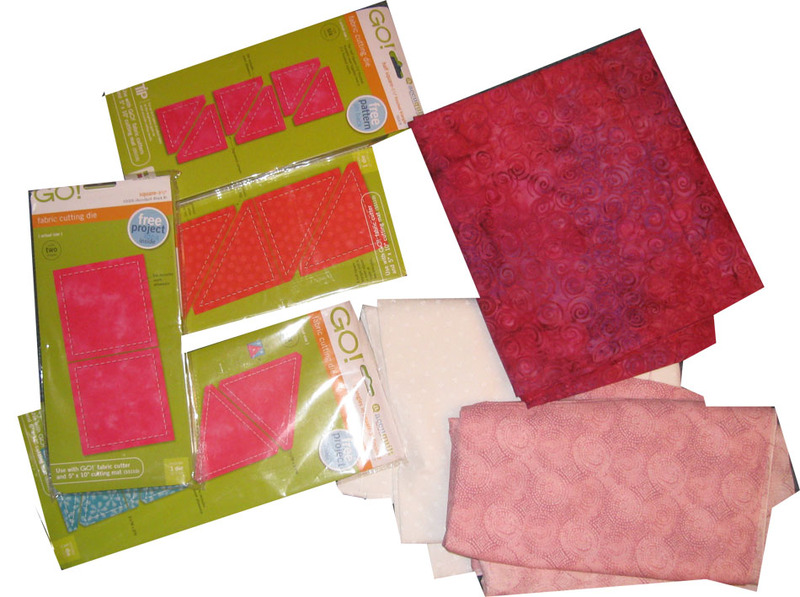 I will be using several AccuQuilt Go templates I received as Christmas presents as well. Here's a hint at what I'm working with. Also, a little voice in my head said I should wash that dark batik before I used it in this project. Now, I'm not one that pre-washes a lot in the past. 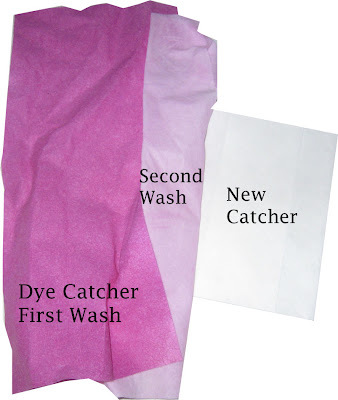 I love to use the dye catcher sheets when washing and they usually catch anything after the fact. However, this fabric being so dark and a batik, I decided to take the extra time to wash first. Here's what I was greeted with this morning as soon as the water hit the fabric. Look at the fabric bleeding already. You can't see it very well but in the back it is all tinted water, not fabric. I'm so happy I chose to wash first. Update - Even after a second washing, the dark batik fabric is still leaving color. I just may find another dark fabric that does not bleed as much since I will be using it up against a white fabric. Here's the dye catchers from washing it twice. The proof is in the color. 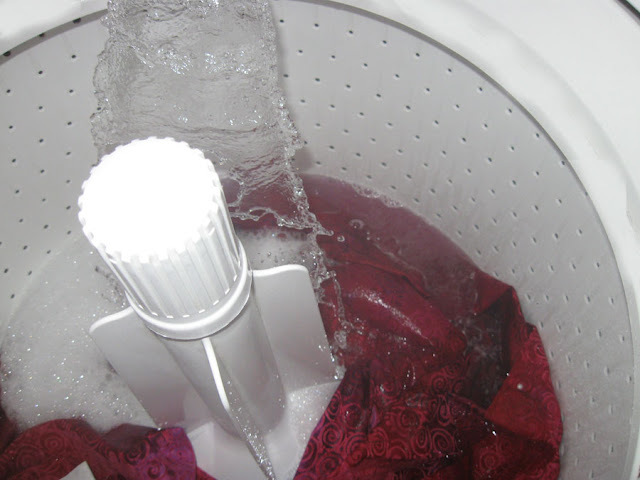 Although, I must say, I like the color pink it produced on the washing. Too bad I didn't put in some muslin fabric and maybe dye some fabric too. Don't know if that would work, but, I may just try it on another dark fabric and see. you should use Retayne on your batik fabrics to set the dye to maintain the rich colors. Color Catchers do not do anything to set the dyes.